Founded on April 1, 1960 in the United Kingdom, Dr. Martens Shoes and Boots were manufactured to offer a you the maximum amount of comfort with their well designed shoe technology. This technology is designed to incorporate an air-cushioned sole. However, originally Dr Martens used old rubber tires to develop this technology. Their focus was on designing shoe soles that kept air trapped within closed compartments. Doc Martens Industrial footwear prides themselves on providing you with you long-lasting comfort and wear, from the factory floor to the corner pub. Not only to they provide you with unbeatable comfort but style, protection and an impeccable fit as well. 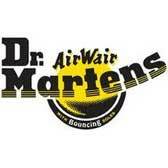 Dr. Martens Industrial Boots and Shoes will deliver the long wearing results for many years to come. Buy your very own pair of this premium footwear from the Working Person’s Store and save big today!